In the introduction to Reading Harry Potter, Giselle Liza Anatol argues, “The Potter series could become some of this generation’s most formative narratives, and it needs exploration and study rather than rejection as simply pulp, pop culture, or the latest fad.” This essay extends Anatol’s provocation by including the teaching of Harry Potter, particularly at the college level, pushing the engagement with Harry Potter beyond the more passive and personal activities of reading (and watching the films) to the performative and pedagogical practices of the classroom. 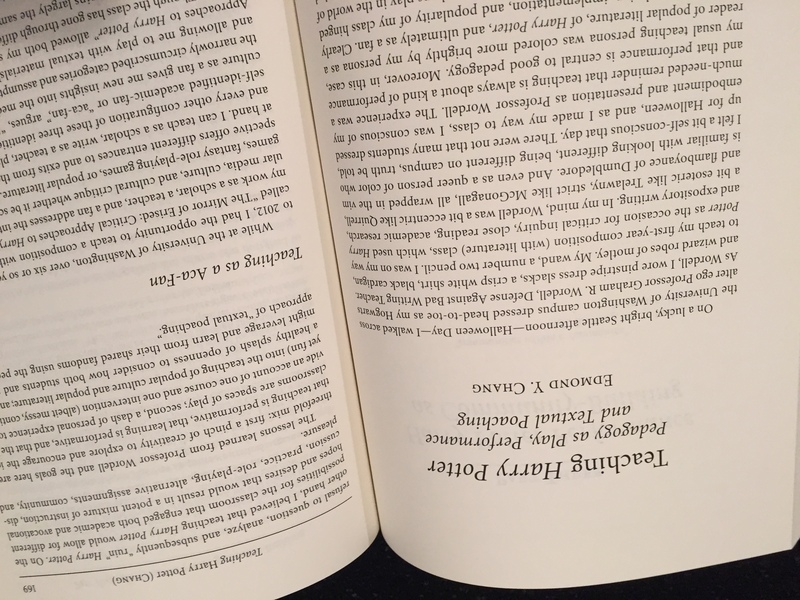 Anatol continues, “Neglecting the potency of the novels and relegating them to the category of childhood trivia can result in the dangerously mistaken conclusions that the books do not reflect and/or comment upon the cultural assumptions and ideological tensions of contemporary society.” Drawing on the experience and execution of teaching Harry Potter courses at the University of Washington in Seattle, this essay hopes to articulate the critical potential and classroom challenges of using Harry Potter (and popular culture in general) to teach close reading, academic writing, critical thinking, and cultural analysis. Because the series navigates both fantasy and real world concerns, teaching Harry Potter offers ways to turn students’ passion for and engagement with the series into approaches to talking about race, gender, class, sexuality, and nation. 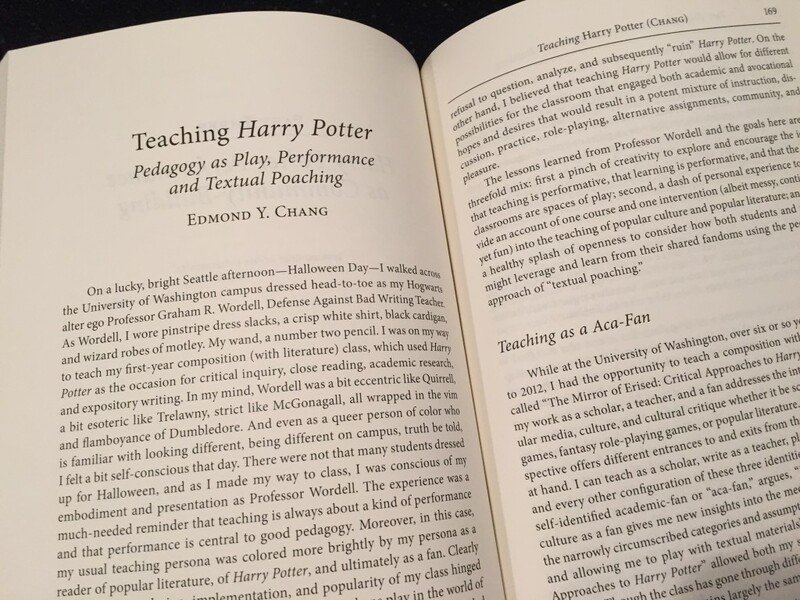 In other words, this essay hopes to provide hands-on and practical ways to integrate Harry Potter into the classroom, allowing for collaborative play and collective performance, and ultimately, to theorize Harry Potter pedagogy as what Henry Jenkins calls “textual poaching,” a practice where fans transform their experience with a text or media into community and alternative ways of being. 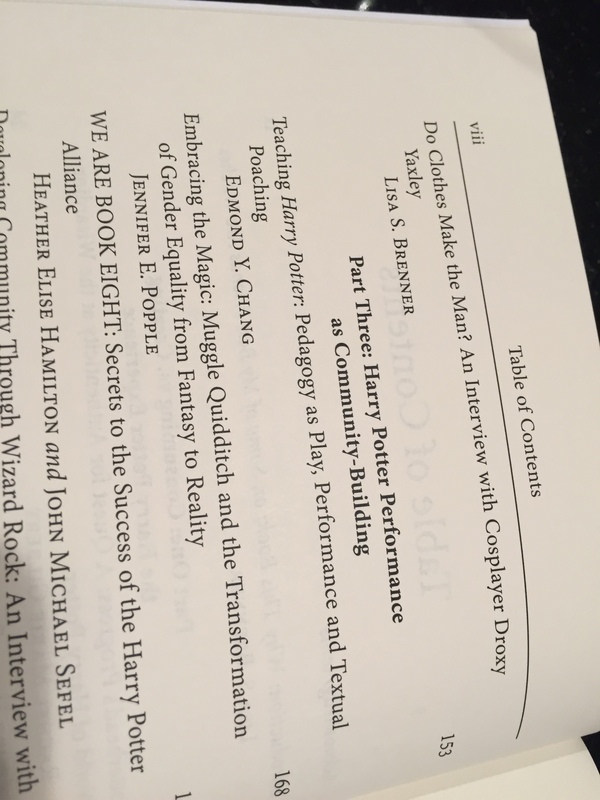 I appear in the collection along with a good friend and graduate classmate Stevi Costa, who wrote a piece on Harry Potter burlesque, specifically about her production(s) of Accio Burlesque. The edited collection is available via McFarland or Amazon. 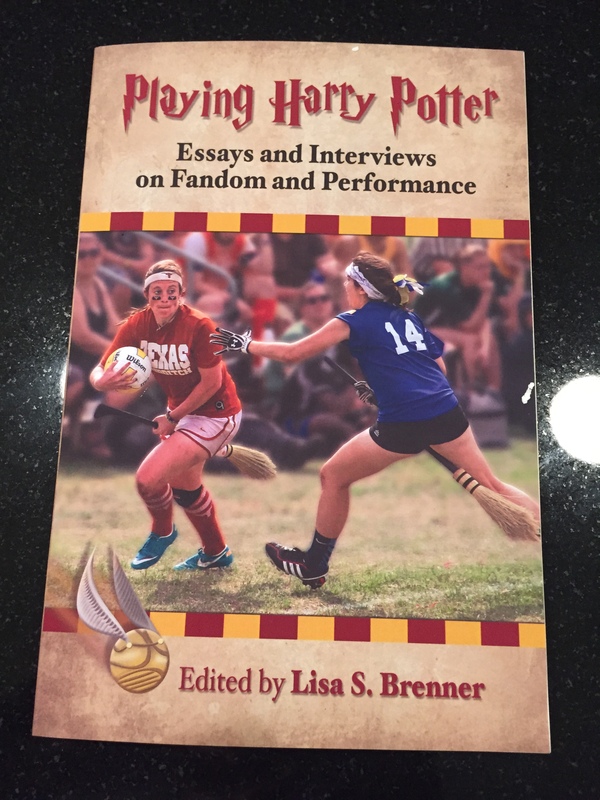 This entry was posted in News, Teaching, Writing and tagged fandom, pedagogy, teaching Harry Potter, textual poaching. Bookmark the permalink.